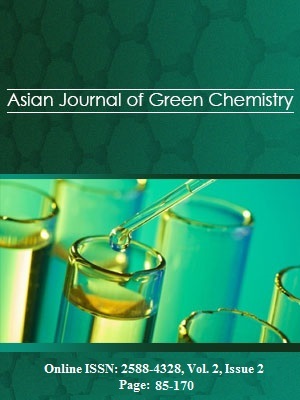 Transition metals (ferrous ammonium sulphate and ammonium nickel sulphate) complexes have been proved to be efficient catalysts for transesterification of β-keto esters with various aromatic and hetero aromatic alcohols under solvent-free microwave conditions. 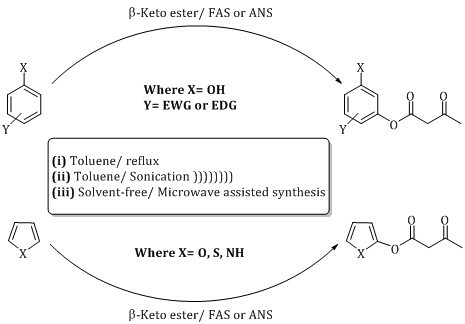 However, in toluene media, the transesterification reaction was also conducted in both conventional reflux and sonication conditions, but, solvent-free condition microwave irradiation technique was found to be more efficient for transesterification with reduced reaction times and moderate yields. The inclination in reaction rates was found to be very less in solvent-free microwave assisted synthesis when compared to other conventional methods.